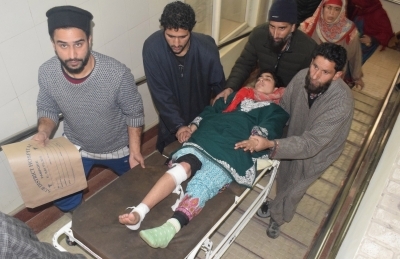 Srinagar, Feb 13 (IANS) Twelve students were injured on Wednesday at a private coaching centre in Jammu and Kashmir's Pulwama district when one of the students was reportedly fiddling with a grenade he had, police sources said. "Initial reports indicate it was a grenade explosion but not hurled from outside," a police officer said. "It seems a student was carrying it with him and it exploded while he was fiddling with it."